And I’ll eat a vegan cupcake if I want to! Last weekend was my (gasp) 27th birthday. And while the majority of the day was spent returning from a little vaca break in warm and sunny California all the way back home to cold and snowy Boston, that didn’t stop me from indulging in a tasty birthday treat (after all, scientists say dessert is perfectly acceptable on your birthday, right? ). 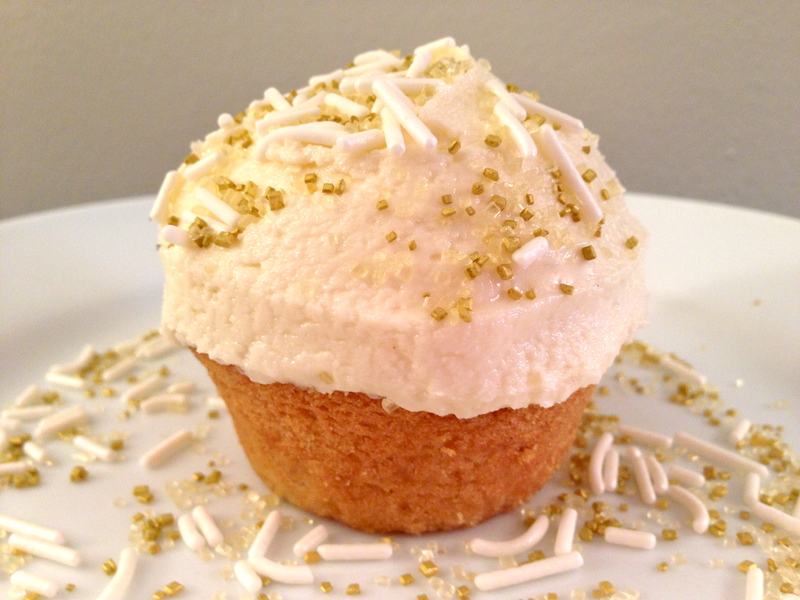 So, as soon as I got home– jet-lagged and all– I made my way to the kitchen and whipped up a sweet and fluffy frosted vanilla cupcake for one. Because, well, why not?! That all changed as soon as I became vegan. Suddenly I am no longer faced with that dreaded “birthday cake pressure”–namely because most people don’t know where to buy vegan desserts, how to make vegan desserts, or they don’t realize tasty vegan desserts exist in the first place. Now, on a day-to-day basis I’m typically 100% fine with this, (I take pride in my health and in what I put in my body), and when I do want dessert, much of the time I’d prefer to make a “healthier” version on my own that keeps me light on my feet as opposed to weighing me down. From a health and fitness perspective this all sounded pretty great, but this also meant no more birthday cake at all. Right then and there I knew something about this birthday was different. Seemingly out of the blue, this simple thought made me feel pretty sad. And as much of a health fanatic as I am, I suddenly considered it a crime NOT to have a bite of dessert on my special day. Heck, who says it has to be your birthday to have a tasty treat?? Everything in moderation people! Besides. 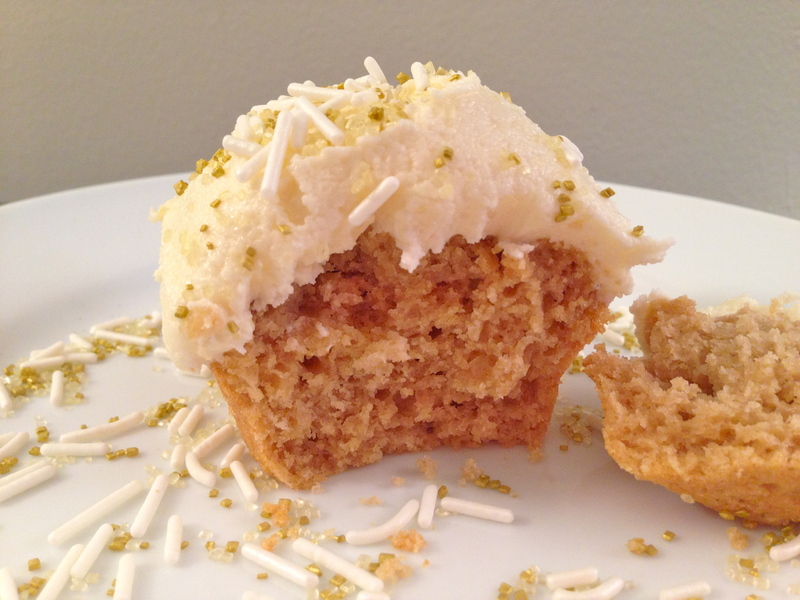 It’s a crime in itself that I don’t have a vegan vanilla cupcake recipe on this blog yet. Enter the (Healthier!) 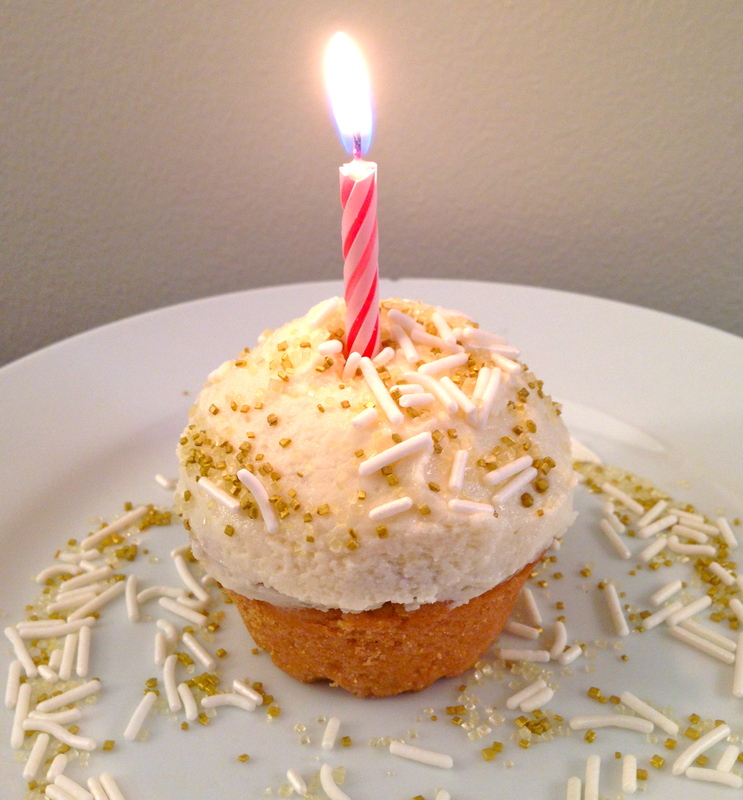 Birthday Cupcake for One. With options for a fat-free, low-fat, or full-fat version, this quick and easy cupcake recipe (you only need 20 minutes!) is sure to please your sweet tooth and your conscience. No birthday necessary . 3 tablespoons spelt flour (you can also use whole-wheat pastry flour or white flour if you’d like– however the whole-wheat option is preferred ). 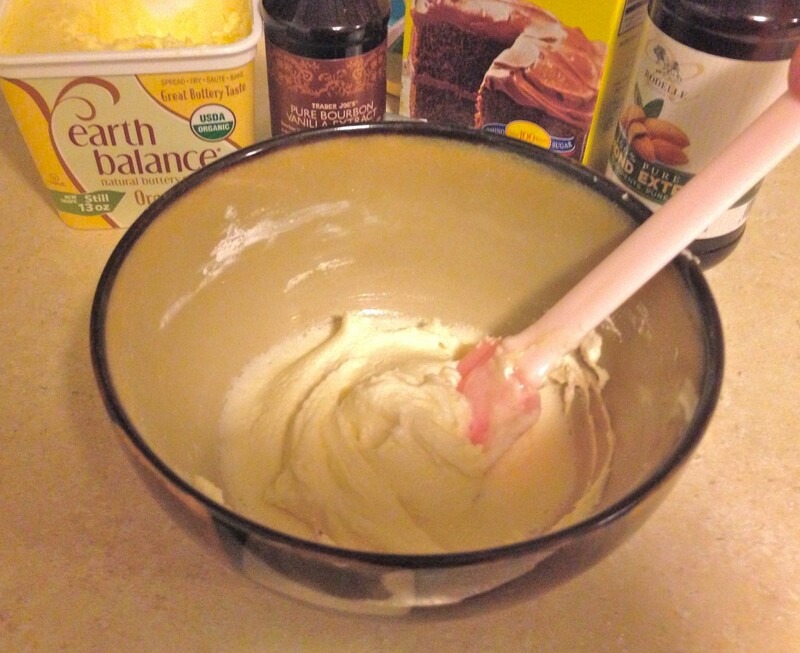 1 tablespoon Earth Balance buttery spread (for a fat-free option, you can sub applesauce or mashed banana for butter, but the cupcake will come out a bit chewier without the Earth Balance option and will have a slight banana flavor if you go that route. For a low-fat version you can do half buttery spread, half applesauce or banana). 2 packets of stevia (use sugar if you prefer– taste test until you are satisfied with the level of sweetness. If you use liquid sweetener, reduce the amount of milk by a teaspoon). Preheat the oven to 340 degrees. Mix all the ingredients together in a small bowl until no clumps remain. 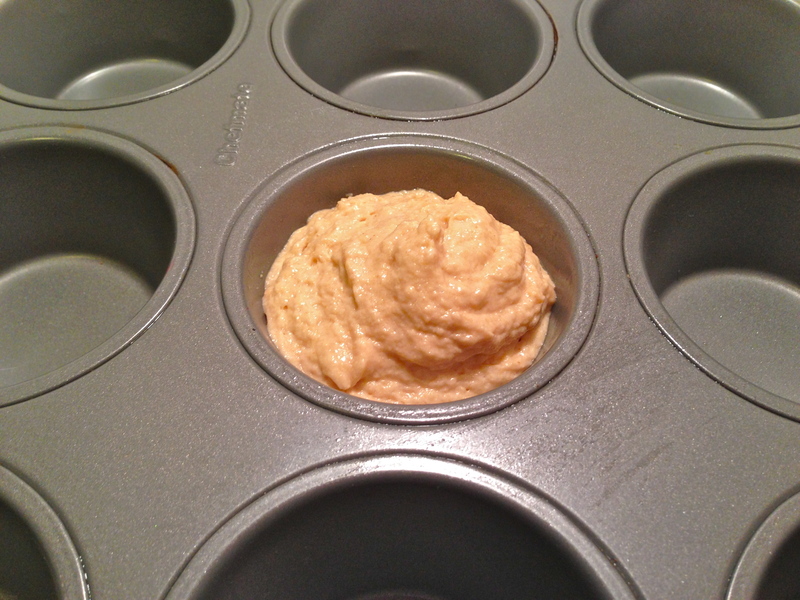 Spoon batter into a muffin pan sprayed with all-natural non-stick spray (I like to use coconut oil spray). Cook for 15 minutes (or until the edges begin to brown slightly). Allow your cupcake to cool before you pop it out of the pan and begin frosting (I know, I know. Waiting is the hardest part! 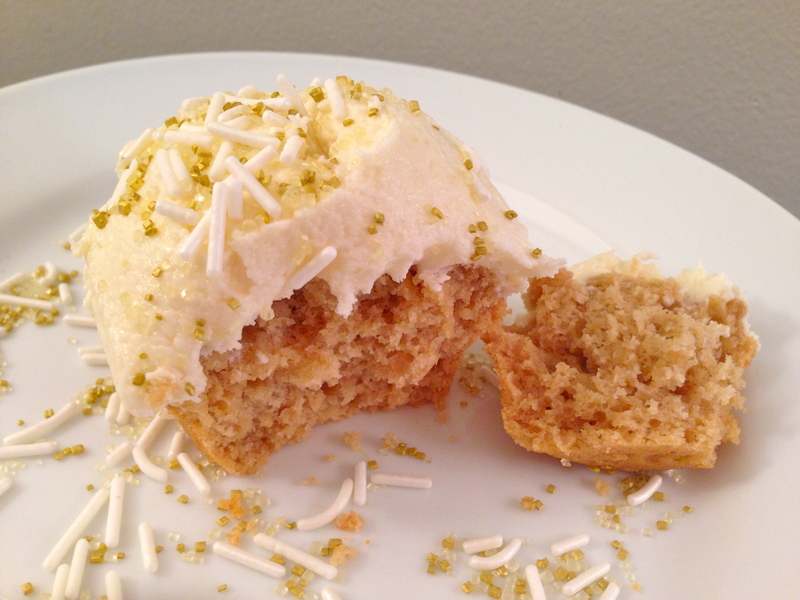 I tossed the cupcake in the freezer for a few minutes to speed up the process ). 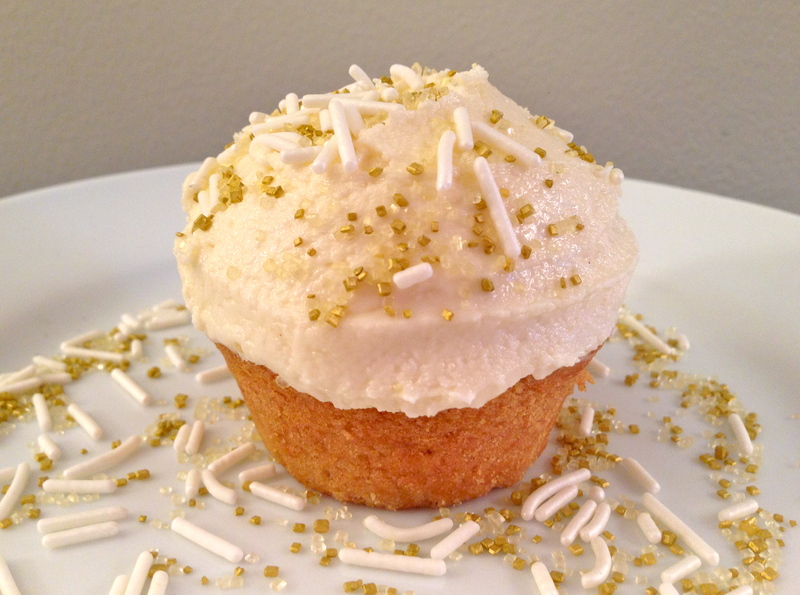 (Please note: This recipe makes much more frosting than you probably need! But I won’t judge you if you use it all on one lonely little cupcake . 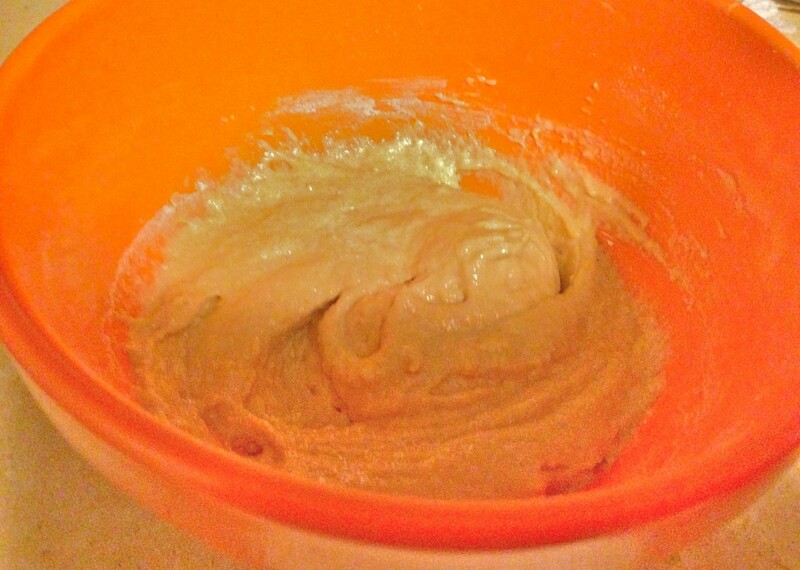 If you want fat-free frosting, omit the Earth Balance and reduce the milk to 2 teaspoons). Mix all the frosting together in a small bowl until smooth and creamy (add more confectionary sugar as needed if you need to thicken it up). See? Now you can have your cupcake and eat it too . Welcome to the Pretty Fit Life! 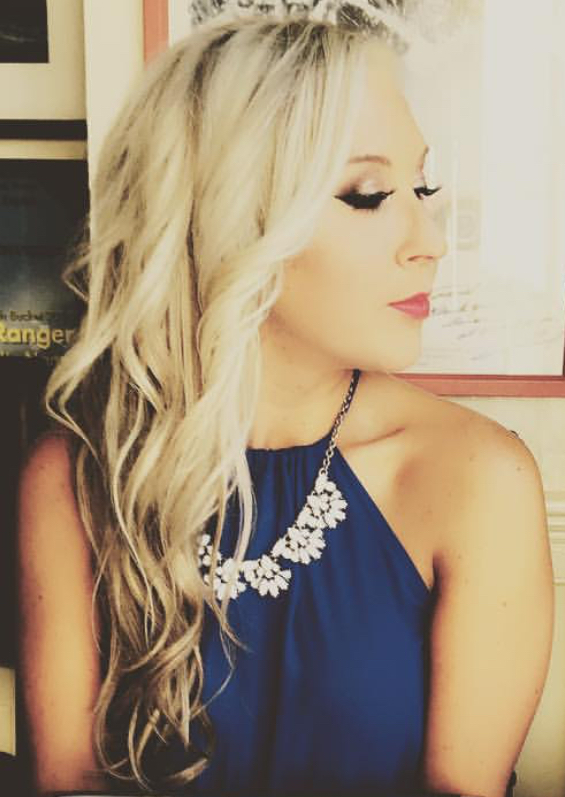 From sneakers to stilettos & everything in between, you ALWAYS deserve to feel pretty, inside and out! By living a healthy & fit lifestyle, your inner beauty is destined to shine through. I hope my blog can help to take you there. So what are you waiting for?! Join me in living the Pretty Fit Life! I Didn’t Starve Myself for my Wedding Day. Here’s Why. Subscribe to the Pretty Fit Life!